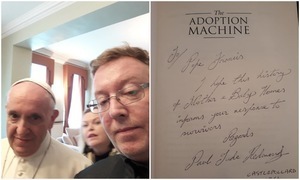 Paul Redmond, chair of the Coalition of Mother And Baby home Survivors and author of The Adoption Machine, has resigned from the Minister for Children and Youth Affairs Katherine Zappone’s survivors’ forum. “I am absolutely heart sick at Zappone’s latest, cynical, time wasting farce which is of no benefit to living survivors. CMABS biggest demand since 2014 has been the full inclusion of ALL survivors in the current Inquiry into Mother and Baby homes. “However, Zappone has fought this at every opportunity and has now excluded them from the remit of the so-called Survivors Forum as well as excluding any discussion of the long delayed Adoption Bill to open the adoption records. “Attempts to have these issues included in the agenda of the forum have failed and it is clear the civil servants running the forum have their own agenda to limit and frustrate the survivor and adoption communities at every turn. “Zappone has cold heartedly refused to release the funding for memorials promised to the community in January 2015 and has instead frivolously spent our memorial funding on advertising a forum to discuss the memorials over the course of at least a year! “It’s simply unbelievable. This is beyond hypocrisy and a complete waste of hundreds of thousands of euros of taxpayers money to stall instead of taking action. “Minister Zappone’s two and half years in office has seen progress for the living survivor community stop dead and it is clear she needs to resign immediately and allow a decent and compassionate person do the job she point blank refuses to do. “My biggest regret is not listening to Derek Leinster of the Bethany Home Survivor’s Group ’98 who boycotted this forum from the beginning declaring it would be of no benefit to our community. He was correct. “I decided to participate and try and turn it around and transform the forum into a fast tracked series of recommendations to the minister for the urgent issues our community needs addressed but, the forum was perverted and warped from the start by Minister Zappone and her civil servants to ensure the survivor community could make no progress on the substantive issues. “Zappone is guilty of one of the lowest, dirtiest, most mean spirited political tricks seen in recent years. The Collaborative Forum of Former Residents of Mother and Baby Homes an... was set up separately to the ongoing Commission of Investigation into Mother and Baby Homes. I am hereby tendering my immediate resignation from the Consultative Forum on the Mother and Baby homes. I believed at the outset – and stated it publicly – that I believed the forum would be a a talking shop and achieve nothing. Sadly this is the way it has turned out. In accepting the invitation to the join the forum, I believed that I would be able to achieve something for the survivor community who were treated horrifically in the Mother and Baby homes in what was a form of ‘internment without trial’. However, I did have very serious misgivings about the way the forum was set up and constituted. Nevertheless, I did go ahead and accept the invitation to join the forum in the hope, as I said above, of achieving something for the living survivors of the homes as well as our fallen crib mates who were effectively neglected to death by uncaring nuns while the State turned a blind eye and handed over the cheques. Sadly for the survivors I represent, my concerns have been borne out as regards how the forum is being conducted. In particular, the manner in which the forum is chaired by an ex-Secretary General of a government department was a source of great concern to me. Regardless of the calibre of the individual involved (and I accept Gerry Carney is a very decent and capable person), the chair should have been a genuinely neutral outsider. In addition I do not think that the chairman, a former senior civil servant, could be independent in a situation where the State is culpable for what happened in the mother and baby homes regardless of his personal integrity. 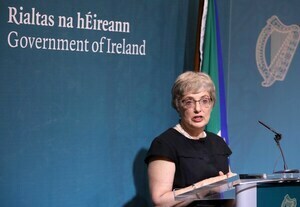 I also note for the record, that you Minister Zappone, have also politically limited the agenda of the forum from the start and have excluded the three most important issues on which many survivors, as represented by the Coalition of Mother And Baby home Survivors (CMABS), have campaigned; namely the full inclusion of ALL survivors in the current inquiry into mother and baby homes and, an immediate acknowledgement, apology and redress for an aging survivors community as recommended by the inquiry itself in its interim report in 2017. CMABS also notes that the urgent issue of illegal adoptees has also been excluded from both the inquiry and, now from the forum. This is disgraceful behaviour by a minister supposed to represent survivors and adoptees in these difficult times. Furthermore, the way certain aspects of the forum have transpired is a cause for further concern. For example, chairpersons of sub-committees were not appointed by objective criteria and, my efforts to have certain matters of the utmost importance moved onto the agenda, were dismissed without cause. There are several other flaws in the fundamental operation of the forum. CMABS are aware that a formal complaint has already been submitted to the United Nations about this forum and, we have retained the expertise of an eminent lawyer to take our further complaints directly to the United Nations Committee Against Torture. This current political stalling and disingenuous delaying tactics cannot be allowed to continue. I sincerely hope, as a survivor of a Mother and Baby home, that all survivors will get justice at the end of the day. However, this forum is certainly a hindrance to that aspiration and of no practical help to the living survivor community. Not a bit surprised as a survivor myself from the residential abuse - survivor and advocates of the mother and baby communities should have learned from what happened to us and the way we were treated by the state and religious - although millions have been handed to government for our support very few of us have actually had any benefit from it, we have to beg for every crumb from these people. We are treated like we would not know what to do for ourselves with actual money been handed over so we can determine what we should be able to buy from it for ourselves and our families. The minister Zappone, is just doing as she is told by the powers that be and to dragged it out until were all dead and gone. Its amazing how these highly paid people never seem to understand that thier jobs are to help. instead thay hinder.